A perfect addition to your Autumn table-scape. 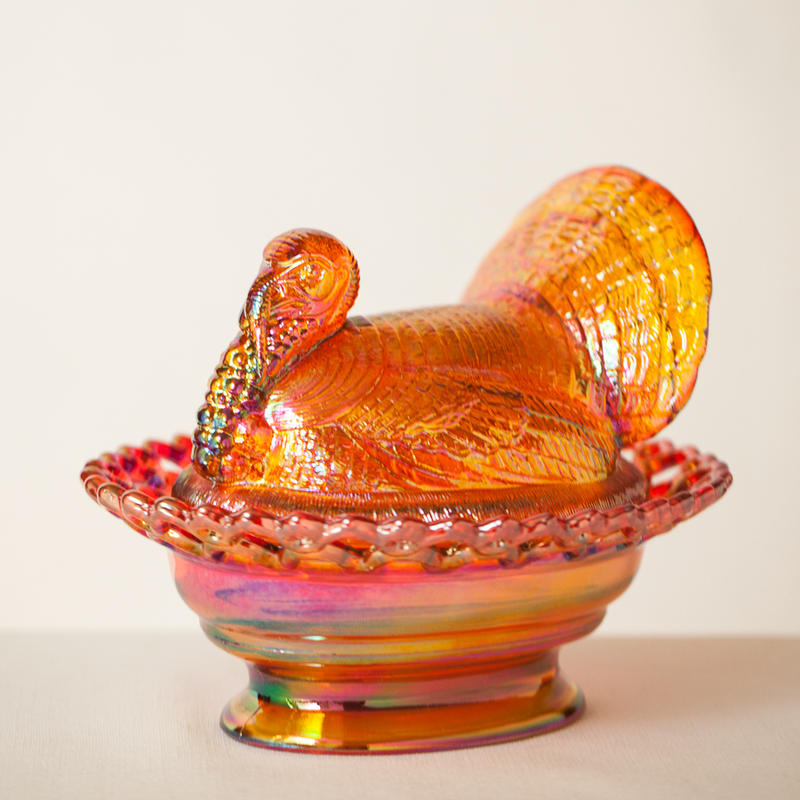 This vintage style turkey will quickly become everyone's favorite guest at the table. 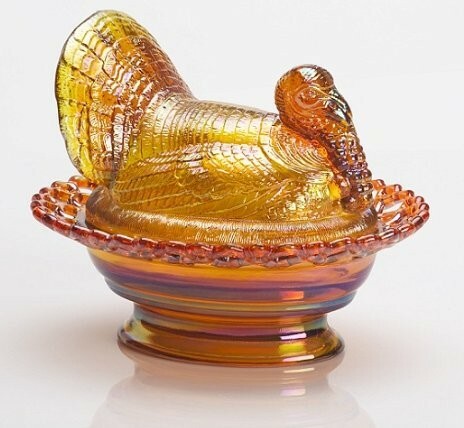 The Glass Covered Turkey Marigold is made by hand in Cambridge, Ohio.